Amazingly true predictions for Scorpio, with decan-wise annual trends. 2019 Horoscope for Scorpio reveals a fortunate year for your 'possessions', that expands and grows your money, possessions, self-worth, and comforts, with a focus on enjoyment of recent endeavours and making bigger decisions about your material resources. This can be a period of extravagance, and/or overindulgence with comfort foods and items, entertainment, and dating. 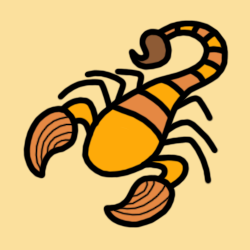 Your Scorpio horoscope for 2019 also streamlines your communications, transportation and commuting, daily interactions, neighbours, and siblings, with tests and challenges that strengthen the foundation in these areas. During this cycle, you may feel the pressure to produce ideas and to make them work, with your growth being blocked in some manner. This influence is most potent for mid Scorpio (born around Nov 3 - Nov 12). Our yearly horoscopes are divided into 3 distinct Scorpio decans. To know more about the Decans of Scorpio, click here. If you find this confusing, please read only the 1st Decan for all Scorpio 2019 horoscope predictions. Jupiter this year continues to enhance and develop your money, possessions, self-worth, and comforts, with a focus on enjoyment of recent endeavours and making bigger decisions about your material resources - until 2nd December 2019. From then onwards, Jupiter expands and grows your communications, transportations, perception, and mental skills, with an upbeat, positive, and forward-looking thought process and mindset - for the rest of the year. Saturn this year streamlines your communications, transportation and commuting, daily interactions, neighbours, and siblings, with tests and challenges that strengthen the foundation in these areas. During this cycle, you may feel the pressure to produce ideas and to make them work, with your growth being blocked in some manner - throughout the year. Uranus this year continues to rapidly change your work and daily routines, while you bring fresh insight into your work, disregarding rules and schedules - until 6th March 2019. From then onwards, Uranus revolutionizes your relationships, while you are attracted to free-spirited people, possibly even eccentric or unstable, as close partners - for the rest of the year. Eclipses bring drama and change, either in the physical world or inside your head. During January 2019, Solar Eclipse on 6th January marks a new beginning or revised approach towards your communications, projects, learning, or self-expression; and Lunar Eclipse on 21st January brings into light surprises or disclosures surrounding your career and reputation matters. During July 2019, Solar Eclipse on 2nd July marks a new beginning or revised approach towards expanding your mind, feed your spirit for adventure, and stretch your imagination; and Lunar Eclipse on 16th July brings into light surprises or disclosures surrounding siblings, neighbours, or associates. Finally, Solar Eclipse on 26th December marks a new beginning or revised approach towards your communications, projects, learning, or self-expression. Amid the eclipses, the North Node continues to bring joy and opportunities through expanding your perspective, and a real need to reach beyond your usual bounds - throughout the year. Particularly around the eclipses during January and July, you can be greatly benefited depending upon how you transform and evolve by balancing the influences of the eclipses and the North Node. Jupiter this year expands and grows your money, possessions, self-worth, and comforts, with a focus on enjoyment of recent endeavours and making bigger decisions about your material resources. This can be a period of extravagance, and/or overindulgence with comfort foods and items, entertainment, and dating - throughout the year. Uranus this year revolutionizes your work and daily routines, while you bring fresh insight into your work, disregarding rules and schedules. During this lengthy cycle, changes may be quite dramatic or erratic, and you are likely to take some risks or innovate in these areas - throughout the year. Eclipses bring drama and change, either in the physical world or inside your head. During January 2019, Solar Eclipse on 6th January marks a new beginning or revised approach towards your communications, projects, learning, or self-expression; and Lunar Eclipse on 21st January brings into light surprises or disclosures surrounding personal philosophy, faith, travel, and the higher mind. During July 2019, Solar Eclipse on 2nd July marks a new beginning or revised approach towards expanding your mind, feed your spirit for adventure, and stretch your imagination; and Lunar Eclipse on 16th July brings into light surprises or disclosures surrounding siblings, neighbours, or associates. Finally, Solar Eclipse on 26th December marks a new beginning or revised approach towards handling money and personal resources, or new sources of income. Amid the eclipses, the North Node continues to bring joy and opportunities through expanding your perspective, and a real need to reach beyond your usual bounds - until 28th November 2019, after which the North Node brings joy and opportunities through shuffling your dependencies, and a real need to share yourself with others - for the rest of the year. Particularly around the eclipses during January and July, you can be greatly benefited depending upon how you transform and evolve by balancing the influences of the eclipses and the North Node. Jupiter this year continues to enhance and develop your personality, body image, attitude, outlook, finance, and independence, with a panoramic vision of life that opens your eyes to whole new possibilities - until 14th February 2019. From then onwards, Jupiter advances your money, possessions, self-worth, and comforts - until 6th June 2019. 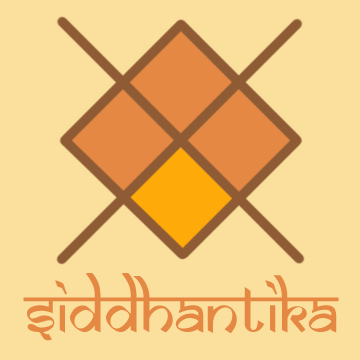 Jupiter amplifies your personality, body image, attitude, outlook, finance, and independence - from 6th June 2019 to 13th October 2019. From then onwards, Jupiter expands and grows your money, possessions, self-worth, and comforts, with a focus on enjoyment of recent endeavours and making bigger decisions about your material resources - for the rest of the year. Saturn this year continues to inspect your money and finances, personal possessions and valuables, personal talents, and self-esteem, with tests and challenges that strengthen the foundation in these areas - until 4th April 2019. From then onwards, Saturn reviews your communications, transportation and commuting, daily interactions, neighbours, and siblings - until 25th May 2019. Saturn finalizes your money and finances, personal possessions and valuables, personal talents, and self-esteem from 25th May 2019 to 19th December 2019. From then onwards, Saturn streamlines your communications, transportation and commuting, daily interactions, neighbours, and siblings, with tests and challenges that strengthen the foundation in these areas - for the rest of the year. Eclipses bring drama and change, either in the physical world or inside your head. During January 2019, Solar Eclipse on 6th January marks a new beginning or revised approach towards handling money and personal resources, or new sources of income; and Lunar Eclipse on 21st January brings into light surprises or disclosures surrounding personal philosophy, faith, travel, and the higher mind. During July 2019, Solar Eclipse on 2nd July marks a new beginning or revised approach towards the way you share money and resources, or get along with a close partner; and Lunar Eclipse on 16th July brings into light surprises or disclosures surrounding siblings, neighbours, or associates. Finally, Solar Eclipse on 26th December marks a new beginning or revised approach towards handling money and personal resources, or new sources of income. Amid the eclipses, the North Node continues to bring joy and opportunities through expanding your perspective, and a real need to reach beyond your usual bounds - until 24th May 2019, after which the North Node brings joy and opportunities through shuffling your dependencies, and a real need to share yourself with others - for the rest of the year. Particularly around the eclipses during January and July, you can be greatly benefited depending upon how you transform and evolve by balancing the influences of the eclipses and the North Node. This is an overview of what the planets have in store for you in 2019, dear Scorpios. Astrology never compels, but you can use your free will to tweak the energies of the planets to your advantage.